Most everyone in the 21st century has heard about the challenge of engaging millennials. Organizations embarking on a Lean journey can become frustrated with developing their workforce to make impactful and sustainable improvements. Team members, especially millennials, are searching for more - having a clearly-articulated purpose, working as part of a team, being fully engaged, seeing a clear development path, and feeling fulfilled through their job experience. The answer to this problem is simple, yet not easy. It is found by fostering a culture of continuous improvement with the purpose, people, and processes aligned to cultivate continuous problem-solving. 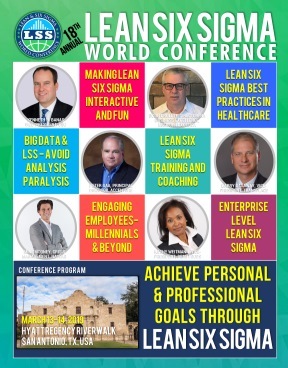 Ben Hoseus, Senior Associate with Process Capability Partners and Director of SpreadProsperity.org, will review how a Lean organization answers the question of effectively engaging with members of the millennial generation. He will discuss practical examples and insight gained through firsthand experience across many international settings. Participants will learn the topics of promoting mutual prosperity, creating human development pathways, building systems of process improvement, and creating an organization that attracts, hires, develops, and retains exceptional people by establishing a workplace culture which promotes problem-solving at all levels. o Problem-Solving – Setting and pursuing goals, identifying problems, creating visual management systems, understanding the process of planning and strategy, and being empowered to make improvements.